Long Term Disability Benefits and Limitation Periods: Don’t trust your insurer to inform you of your rights!!! What can I do if the LTD insurer denies my claim? How can I apply for LTD benefits? Should I appeal the LTD insurer’s decision not to pay LTD benefits? How many times should I appeal the insurer’s LTD denial? How much is my LTD case worth? How do LTD benefits work? Where can I get my LTD application paper work and how do I fill it in? One of the reasons people have so many questions when it comes to their LTD claim, is because few people have ever read their LTD policies; LTD claims are the exception for employees; not the norm; and people simply don’t understand how these benefits work. In fact, we even have people calling our office for completely different reasons (car accident, slip and fall, motorcycle accident), only to find out months, or sometimes years later that they have long term disability coverage through their employer! Some people don’t even know they’re covered!!! 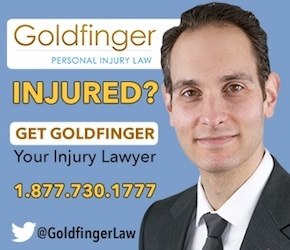 As an aside, this awareness of your rights dovetails in to personal injury lawyer advertising. Insurers don’t want to see lawyers advertise. To be fair, some well connected personal injury law firms don’t want to see other personal injury law firms advertise either (but that’s a different topic).One of the reasons which insurers don’t want to see personal injury lawyers advertise, is so that the general public is kept in the dark when it comes to understanding their rights. The later an injured accident victim, or LTD claimant understands their rights, the better for an insurer. Case in point: The recent Ontario Court of Appeal decision in Usanovic v. Penncorp Life Assurance Company also known as La Capitale Financial Security Insurance Company 2017 ON CA 395 (CanLII). This Ontario Court of Appeal decision was released on May 18, 2017. This was a case for Long Term Disability Benefits. Those LTD benefits were denied by the insurer, Penncorp. Mr. Usanovic sued. Problem was, that he took too long to sue. Penncorp through their lawyers brought a summary judgment motion to the Court to dismiss the Plaintiff’s claim for having waiting too long to bring the law suit. In Ontario, you are required to sue in a LTD claim within 2 years from the date which the Plaintiff knew, or ought to have known that the Plaintiff’s LTD benefits had been denied. Mr. Usanovic was a self-employed eavestrough installer (a hard labour intensive job). In 1999, he bought an insurance policy from the LTD insurer, Penncorp. In September 2007, the Mr. Usanovic fell from a roof and suffered serious injuries. He received long term disability benefits until November 2011, when Penncorp terminated its payments because he no longer had a “total disability”, as defined by the policy. This is common. LTD insurers do this to people all the time. On January 12, 2012, the Penncorp’s lawyer (not an adjuster) wrote to Mr. Usanovic (who was without lawyer) explaining that since benefits had been paid for 24 months, he was not entitled to receive further benefits unless he was unable to engage in any and every occupation for which he was reasonably fit by reason of his education, training and experience. A review of the medical information on his file did not support the conclusion that he had a total disability. Moreover, surveillance undertaken by the insurer was inconsistent with the limitations the appellant claimed to be suffering. Penncorp’s lawyer’s letter added, “If you disagree with this decision, please submit, within sixty days of receipt of this letter, medical records in support of your claim for total disability from any occupation for which you are reasonably trained and educated”. Mr. Usanovic (who was without lawyer) did not provide new medical records in response to the letter. He claimed in an affidavit that he had sent a letter to the insurer, dated February 3, 2011 [sic], protesting the termination of his benefits. The insurer denied having received that letter. In cross-examination, Mr. Usanovic admitted that he knew his benefits had been terminated, had received the lawyer’s letter, had read the policy over, had discussed the matter with his wife many times and had considered hiring a lawyer, but could not afford to do so. In early 2015, Mr. Usanovic consulted counsel, who told him that there was a two-year limitation period on his claim. Mr. Usanovic alleged that, had the insurance company told him about the limitation period when it denied his claim, he would have brought an action earlier. He commenced this action in April 2015, more than two years after the termination of his benefits and receipt of the letter from Penncorp’s lawyer. Right off the bat, you can see the power imbalance between a likely unsophisticated eavestrough installer vs. a multinational insurer and their smart lawyer. The fact that Mr. Unsanovic had not consulted with a personal injury lawyer sooner essentially killed his case. Mr. Usanovic argued in this case that the insurer had a duty to act in good faith and let him know about the two year limitation period to start his case. The insurer failed to do so. To me, this is a plausible argument. There is a total power imbalance imbalance along with a fiduciary duty in this relationship. Seems to me a sophisticated insurer can take advantage of many an unsophisticated disability claimant who is clueless about his/her rights. In this case, however, we are asked to do something more than impose a duty of good faith on insurers to disclose the contents of the insurance policy. We are asked to extend the duty of good faith to require an insurer to disclose information outside the policy – namely, the existence of a limitation period. ….in my respectful view, the court should not impose consumer protection measures on insurers, outside the terms of their policies, that the legislature has not seen fit to require. To that, I say why not? Why can’t a Court enact consumer protection measures when that power imbalance between the parties (here insurance lawyer vs. eavestrough installer ) is so clearly imbalanced. Why can’t the Court protect the general public in such a case where the imbalance of power was so obvious? Why can’t the Court be critical of a large insurer who has a duty of good faith to his/her insured to make them aware of the two year limitation period in a simple letter? It’s just a paragraph, or a disclaimer. Have you read the disclaimers and settlement disclosure notices for car accident cases in Ontario crafted by the Ontario government? They are 10 pages long!!! All legal jargon. All designed to protect consumers. Moral of the story: Don’t rely on your insurer to inform you of your rights or the law. Consult a personal injury lawyer right away. It’s free.